Villa Porto (built in 1612) is laid out over 3 floors of pure luxury and is known to be one of the most popular villas throughout the Adriatic. 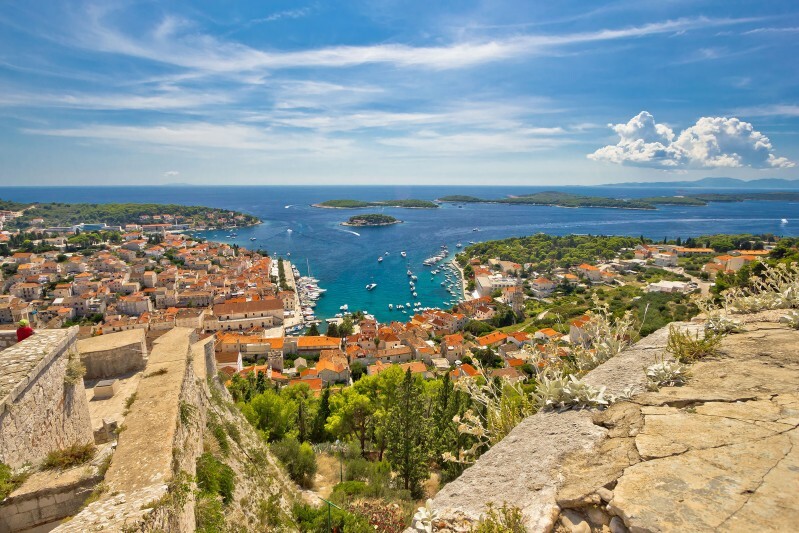 The location is as convenient as it gets if one wants to experience the world renowned Hvar Town to its full potential. Step out onto the carved stone balcony and take in the views onto fashionable Riva, whilst watching luxurious yachts and sailboats dotted around the main Port. The villa is steeped in history and therefore protected by the institute of Cultural Monuments. Nearby is the famous Carpe Diem bar which is a hive for celebrities and those who want to be seen. The famous Gariful fish restaurant is within steps away where Gorgio Armani has vocally admitted this is his favourite restaurant. Within 100m of the villa is a small pebble beach for taking a dip into the sea. Throughout Hvar, there are enough high quality eateries to experience somewhere different each night. Hvar has been named on of the top 10 favourite island destinations in the world by Travel & Leisure. Not only is it rich in history, by is the perfect combination of Mediterranean culture and modern glamour. Like all grand houses of this period, the main living area is situated on the first floor. Here is an open plan living area with a library, fireplace kitchen and dining room which is meticulously interior designed to suit its environment and high end clientele. The ground floor offers a gym, spa, indoor/outdoor pool and a wine cellar for those who want to rejuvenate after a long day at the beach. There are five well equipped bedrooms, all with en-suite bathrooms which can accommodate up to 10 guests. Bed 1- King size bed, with en- suite bathroom. Bed 2- King (or two twins), with an en-suite bathroom. Bed 3- King (or two twins), with en-suite bathroom. Bed 4 – King, with an en-suite bathroom. Bed 5- Super King, with en-suite bathroom. Luxury boat hire to explore islands.